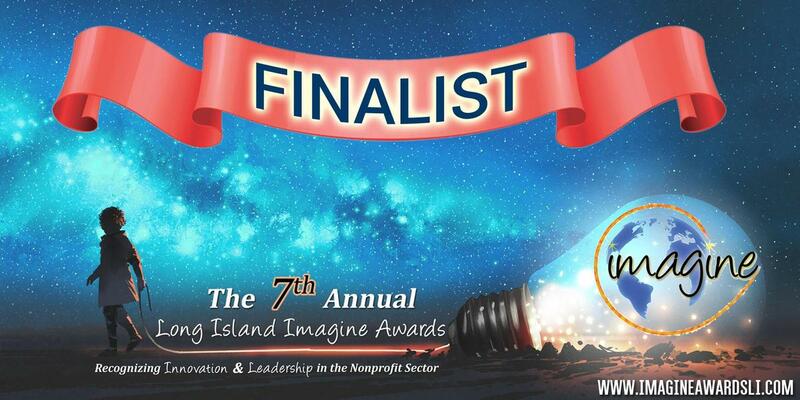 GLEN COVE, NEW YORK – FEBURARY 4, 2019, Tiegerman was named a Finalist in the Certilman Balin Leadership Excellence category in The 7th Annual Long Island Imagine Awards. The Long Island Imagine Awards was created to offer formal acknowledgement to some of Long Island’s most effective and innovative nonprofit organizations. Last year’s event attracted over 400 attendees from the nonprofit and business communities and an even larger crowd is expected this year. Winners will be announced LIVE at the awards gala at the Crest Hollow Country Club on Tuesday, April 30 2019. Nominated organizations, their constituents and the Long Island business community are expected to attend. As shared by Ken Cerini, Founder of the Long Island Imagine Awards when he met and interviewed Dr. Tiegerman. Finalists were chosen by Long Island business professionals during preliminary judging. Members of the Awards' Distinguished Judging Panel selected the Imagine Awards winners from among the Finalists during final judging. “I am humbled to be a part of those chosen to be a finalist,” said Dr. Tiegerman. Details about Long Island Imagine Awards and the list of Finalists in all categories are available at http://www.ceriniandassociates.com/imagine-awards. Founded in 1985, Tiegerman (formerly SLCD) is a 501(c)( 3) not-for-profit organization dedicated to helping children with severe language and autism spectrum disorders. We provide special education programs for preschool and school age children (K-12) and a complete Adult Services program through Tiegerman Community Services (TCS). Schools and Community centers are located in Long Island and Queens serving all ages throughout the 5 boroughs and Long Island. At Tiegerman we believe language is the key to creativity, self-expression and academic achievement. Our classrooms are language laboratories that provide the right teacher, the right setting, the right support and the right curriculum so that our children can be successful. TCS provides day habilitation programs and Program without Walls, which includes social skills development, vocational training and a residence for developmentally disabled individuals. Visit www.Tiegerman.org to learn more. The Imagine Awards was created in 2012 by Managing Partner, Ken Cerini of Cerini & Associates, LLP. Honoring organizations of all types and sizes and the people behind them, the Imagine Awards recognize outstanding performances in the Long Island Community. Learn more about the Imagine Awards, visit http://www.ceriniandassociates.com/imagine-awards.